Leslie A Campbell - Yonder "Gib"
James R Jackson - Landscape, Bellingen, N.S.W. James R Jackson - Landscape, Bermagui, N.S.W. Leonard H Long - Afternoon Light, Wee Jasper, N.S.W. Phyllis Paulina Waterhouse - Ballina, N.S.W. 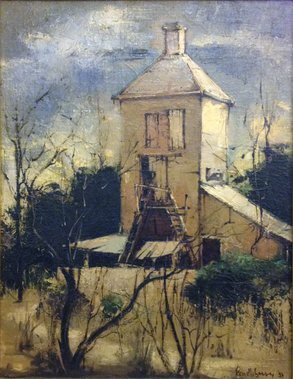 Theodore de Roty Fodone - Steel Works, Newcastle, N.S.W.